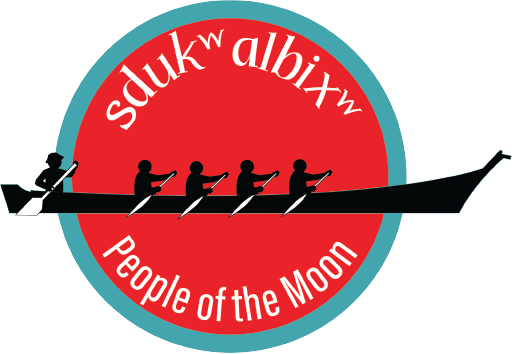 The Snoqualmie Tribe’s Culture Department asks if you could join in by helping to prepare for this year’s 2019 Canoe Journey Paddle to Lummi: Honoring Our Way of Life (July 24, 2019 – July 28, 2019). We are looking for grounds crew support and pullers for the canoe. 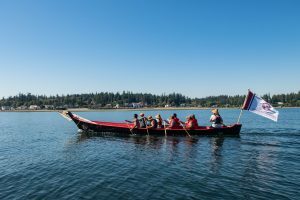 These upcoming Canoe Journey preparation gatherings are specifically being offered to give Tribal Members the opportunity to make their own regalia, learn songs and dances, learn how to make traditional art and help prepare gifts for the hosting tribe and guests, ready the participants who want to pull in the canoe, and learn how to speak Lushootseed while on the Canoe Journey. Snoqualmie Tribal Songs, drumming, & dances. How to make your own regalia; drum, rattle, flute, vest, shawl, hat, paddle. Canoe paddling and conduct in the canoe. Lushootseed phrases to use in the canoe, prayers, asking permission to leave and come to shore. The history about the Canoe Journey & what happens while on the Canoe Journey. Self-care & conduct while on the Canoe Journey. To access the Waiver form for 2019 Canoe Journey please click here. To access the Packing Checklist for Canoe Journey please click here.